Lake Tahoe, California is located in the Sierra Nevada mountains. This year-round alpine retreat offers the perfect blend of lakeside and mountain living. The area has something for the whole family – from summer water sports to hitting the slopes in winter. In the warmer weather, relax by the lake or take a balloon ride to view Tahoe from the sky. During winter months, hit the slopes at nearby Heavenly Ski Resort. 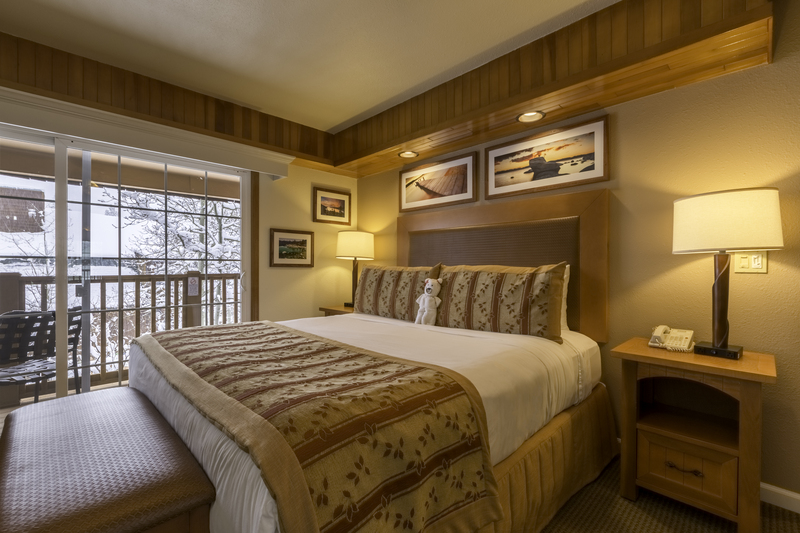 You’ll find everything you need for a relaxing stay in South Lake Tahoe at the Tahoe Beach & Ski Resort. Cabin-inspired accommodations include studios, one and two bedroom, townhouse and cabin rentals – perfect for bringing along the whole family! Suite amenities include a kitchenette or full kitchen, cozy living space and balconies. Onsite, you’ll have access to a private beach, fitness center & sauna, heated outdoor pool, sport courts, and a playground.